Learn to live every day with the hope of heaven! Todd and Sonja offer a 50-day devotional full of inspiration and insight. Sharing their family's responses and reactions to Colton's experience, they reveal what God might be doing when things go wrong. Each reading includes Scripture and a reflection or action point. 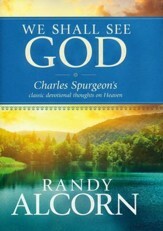 196 pages, hardcover from Nelson. 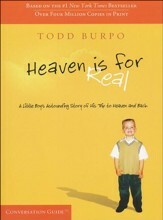 Todd and Sonja Burpos almost-four-year-old son Colton made an unforgettable trip to heaven and back during the darkest, most stressed-out days of their lives. Times were tough, money was scarce, and the bills, frustrations, and fears were piled high. How did Coltons visit to heaven change things for them individually and as a family? And what does any of this mean for you and your life? 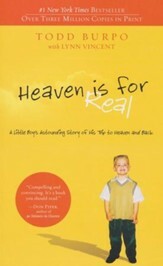 Todd, and for the first time ever Sonja and Colton, from their perspectives, share what has happened since the release of their New York Times bestseller, Heaven Is for Real. 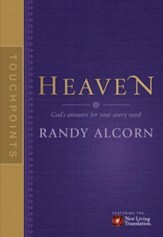 Through their own experiences, and after hearing from thousands of the more than eight million readers who have shared how the story has affected them, they show you how believing heaven is for real will help you survive hardships here on earth, including the death of a loved one or the loss of a child through tragedy, miscarriage, or even abortion. · Is it really okay to struggle with and question God? Really? · What hope is there for me if Ive lost a child or a loved one to death? Will I ever see them again? · What does heaven feel like? · Can I know for sure that Im going to heaven? · Does God really hear me when I pray? They also explain how their story can help you keep thoughts of eternity in mind in the midst of your own overly busy, stressed-out lives. Heaven truly is for real, and believing it changes everything! Todd Burpo is pastor of Crossroads Wesleyan and a volunteer fireman. He and his wife, Sonja, have four children: Colton is an active teenager; he has an older sister, Cassie; a younger brother, Colby; and a very special sister he met in heaven, yet to be named. Sonja Burpo is a busy mom, pastor's wife, and office manager for a local real estate company. A certified elementary teacher, Sonja is passionate about children's ministry and helping women work through the difficulty of miscarriage. Todd Burpo is pastor of Crossroads Wesleyan and a volunteer fireman, and he works with a garage door company. He and his wife, Sonja, have four children: Colton, Cassie, Colby, and a very special sister in heaven, yet to be named. Sonja Burpo is a busy mom, pastor's wife, and works for a local real estate company. A certified teacher in the state of Nebraska, she has taught in the public school system both in Oklahoma as well as in Imperial, Nebraska. Sonja is passionate about children's ministry and helping women through the difficulty of miscarriage. 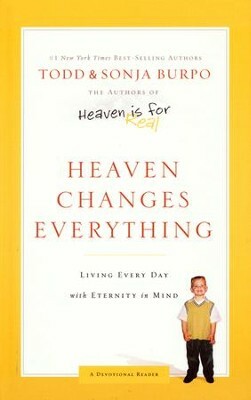 I'm the author/artist and I want to review Heaven Changes Everything: Living Every Day with Eternity in Mind.